From babysitting his kids to playing for the Hobart Hurricanes in the Big Bash League (BBL), Paine threw open a lot of options for Pant. Pant tries to hit Lyon out of the park while Paine watches on. Tim Paine. Australia's new master sledger! The captain has during the ongoing Test series against India emerged as one of the funniest sledgers going around and you can't blame him, can you? Not on Day 3 of the Boxing Day Test. 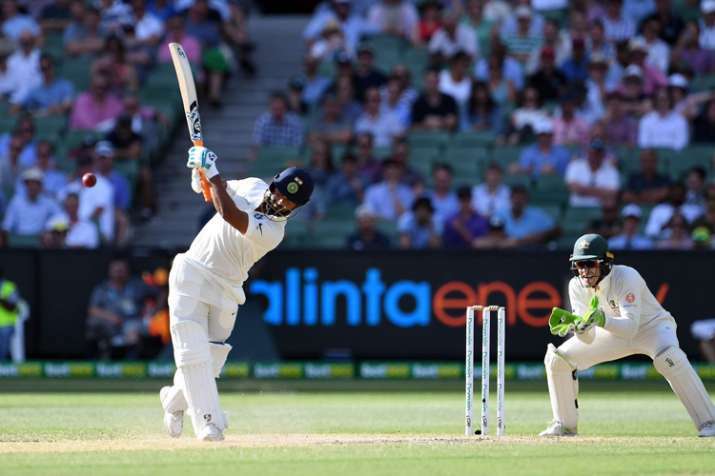 Having conceded a lead of nearly 300 runs in the first innings, and then making an unexpected comeback with five early Indian wickets, the Aussie skipper couldn't help but engage a little tete-a-tete with the always buzzing Indian gloveman Rishabh Pant. Standing up to the stumps during the 26th over of the Indian innings that Natha Lyon bowled, Paine had a lot of advice for Pant once the Test series gets over, who hasn't found a place in the ODI squad. From babysitting his kids to playing for the Hobart Hurricanes in the Big Bash League (BBL), Paine threw open a lot of options for Pant while Lyon kept teasing the left-hander with his loop and drift. It almost worked as Pant tried to hit the fourth ball over the ropes after advancing a couple of steps, only managing to get the toe end of the bat on the ball as it bounced before reaching long-off. Here is the full transcript of the funny interaction during which Pant kept quiet, as gathered by news.com.au.